This terrific mini felt pennant is the perfect size for any location. Vibrant colors and crisp graphics. Innovative printing techniques give this pennant a sharp look at an affordable price. Perfect for the kids room or dorm. Full-size pennant. Measures 10" long and 4" wide. Official team logos and colors. Officially licensed by the league and the team. A terrific gift idea. Made in the USA. This item is carefully rolled and boxed for shipping. In almost all cases, it can be unfurled on receipt without any alteration of appearance. If any minor wrinkles are incurred in transit, they can be ironed out easily to restore the pennant's crisp appearance. 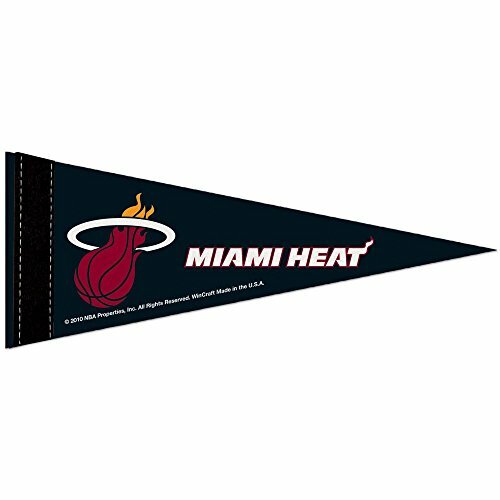 NBA 79093010 Utah Jazz Premium Pennant, 12" X 30"